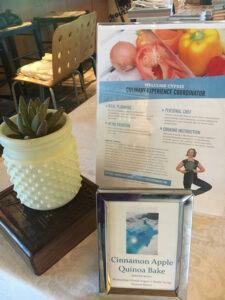 Today was the first day of our week of wellness showcasing some of FiT’s lesser known services. 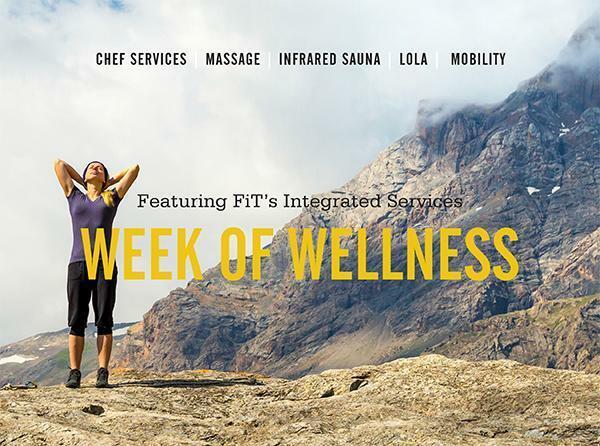 Miesha offered chair massage to clients on their way out the door, a video tour of our new infrared sauna was available, and information on our massage services, mobility offerings and LOLA bootcamp was highlighted. 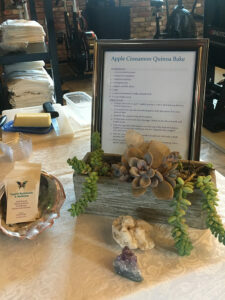 While clients perused, they also had a chance to sample some a delicious Apple Cinnamon Quinoa Bake created in FiT’s Test Kitchen by Cypris, our Culinary Experience Coordinator, and learn about the services she offers to FiT clients. If you weren’t able to come by this morning, try this recipe and let us know what you think! 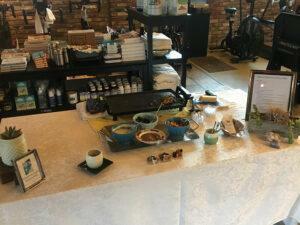 Oh, and be sure to stop by on Waffle Wednesday (7am to 10am) to sample the next of Cypris’s creations. 1. Preheat the oven to 350°F. Lightly grease a 7-by-11-inch baking dish (an 8-by-8 works too). 2. In a small bowl, mix the uncooked quinoa with the spices. Pour into greased dish. 3. Sprinkle the apples on top of the quinoa. 4. In that same small bowl, beat the eggs. Whisk in the almond milk and maple syrup. 5. Pour the egg-and-milk mixture over the top of the fruit and quinoa. Lightly stir to partially submerge the fruit. Sprinkle the chopped almonds on top. 6. Bake for 1 hour or until the casserole is mostly set with only a small amount of liquid left. 7. Allow to cool, and then cover and refrigerate. In the morning, cut a square, sauté or microwave it on a plate. 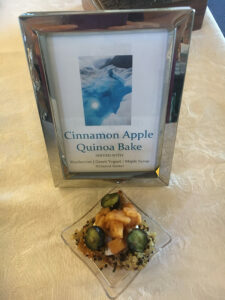 This entry was posted in Healthy Lifestyle, In the Kitchen, Resources, Uncategorized. Lose Weight Without Eating Healthier or Working Out Is protein supplementation right for you?